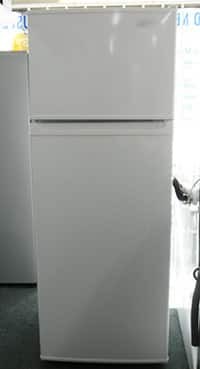 Cheapest Fridges in Melbourne - Fridges, Freezers, Washing Machines and more. 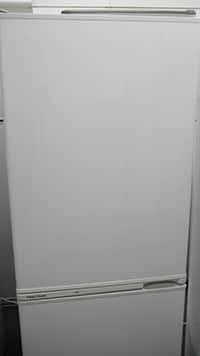 Most affordable Fridges, Freezers, Washing Machines, Dryers and more in Melbourne. Come into our Brunswick store and check out the latest offers. You are guaranteed to find the cheapest Fridges and Washers with 1 Year Warranty and FREE Delivery. We can help you find the right Fridge or Washing machine for your needs. We have a wide range of Brand New and Factory Seconds Home Appliances in store for you to choose from. We deliver to local areas including Brunswick, Northcote, Thornbury, Moonee Ponds, Carlton, Parkville, Collingwood, Abbotsford, Footscray, Airport West, Pascoe Vale, Preston, Fairfield, Niddrie, Keilor, Ascot Vale, Maribyrnong, Kensington, Richmond, Southbank, Sunshine, South Melbourne, Southbank, Watsonia, Ivanhoe, Kew, Toorak and more. 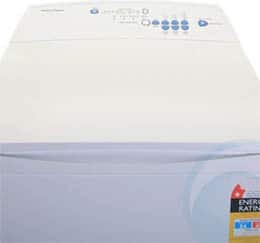 In business since 1992, Nava Electronics is your one stop appliance store in Melbourne - selling the cheapest range of new and second hand brand name products. At Nava Electronics, you can find fantastic discounted prices without compromising the quality and the service - with FREE delivery as an added bonus. 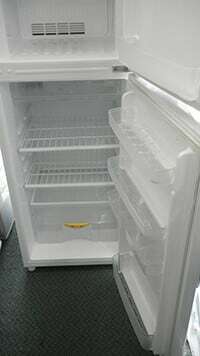 I bought a fridge from Nava Electronics a couple of days ago. The fridge was in good quality and worked perfectly. They made the delivery as soon as possible and it was delivered home the next day after I purchased it. The staff were great and are willing to help with anything. I got a free delivery and one year warranty on the product which I thought was great. My fridge was in brand new conditions with a beautiful look. I recommend Nava Electronic to anyone. Amazing Service! WORST EXPERIENCE EVER. Customer service is very poor. 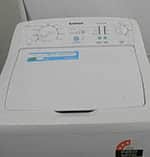 Bought a washing machine, which broke after a few months. As they were not able to give me an exact time-slot for collection I lost 3 days of work waiting for someone to pick it up and then bring it back. Once I got the machine back (a week after!) the problem was not fixed. They finally promised to send a new machine but made me lose another morning of work as they did not show up at the agreed time. Same story in the afternoon - I left work earlier to let the delivery person in and they arrived over an hour later. Very disorganised and unreliable! I ordered a fridge from them and noticed after a few months that the freezer would intermittently stop working, causing all our icecream to melt and meat to go bad. I chose Nava Electronics because of their warranty deal so I assumed all would be well. They fobbed me off for two months first by sending a technician who told me everything was fine then spending 3 weeks telling me to call back tomorrow. Finally got the fridge replaced only to discover this fridge was COOKING my food above 30 degrees. Do they check their appliances work before sending them out??? Purchased a fridge that stopped working two weeks later. Asked for repairs - couldn’t help us for a week. Finally arrived - didn’t have the parts. Returned three days later - fixed the issue. Fridge stopped working two weeks later. Called up - they decided to give us replacement. Took broken fridge spilling coolant all over the kitchen floor of our rental - disappeared, didn’t help clean up!! Awful service. Both times not arriving at time when they said they would. Two lots of food spoiled.